Metro Fixings carry a comprehensive range of Personal Protection Equipment. We only deal with trusted suppliers and quality products when it comes to your health, suppliers including Clinell, 3M and many others. 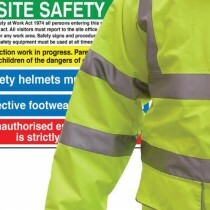 We also offer Corporate Branding as a service for Hi Visibility Workwear and standard General Workwear. If you would like a competitive quotation, contact the Sales Team on 01707 375172.